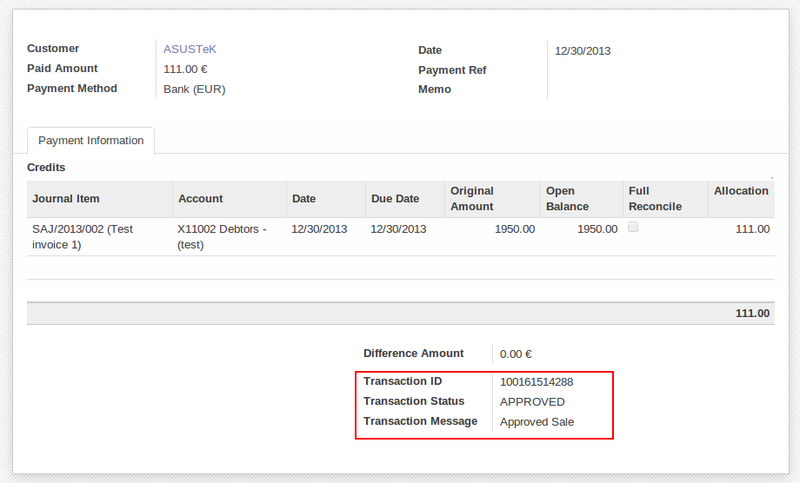 Recently we have made integration with OpenERP with Authorize.net for payment services. Now we have integrated OpenERP with another Payment services, BluePay. We can have more information from http://www.bluepay.com. 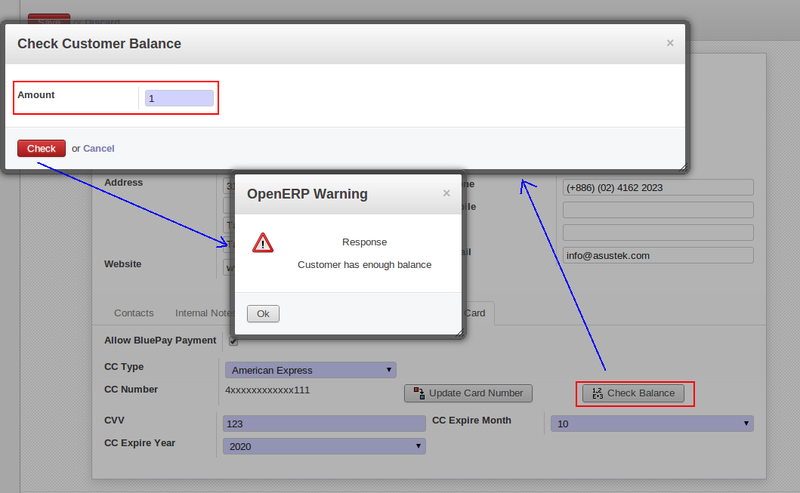 With help of this module, it is very easy to process with credit card from OpenERP interface. First of all we have to create account on BluePay and get required information and use those information to connect with BluePay from OpenERP. We have tested each transaction in TEST mode. It requires credit card information to make transactions. We are storing required details into Customer form. 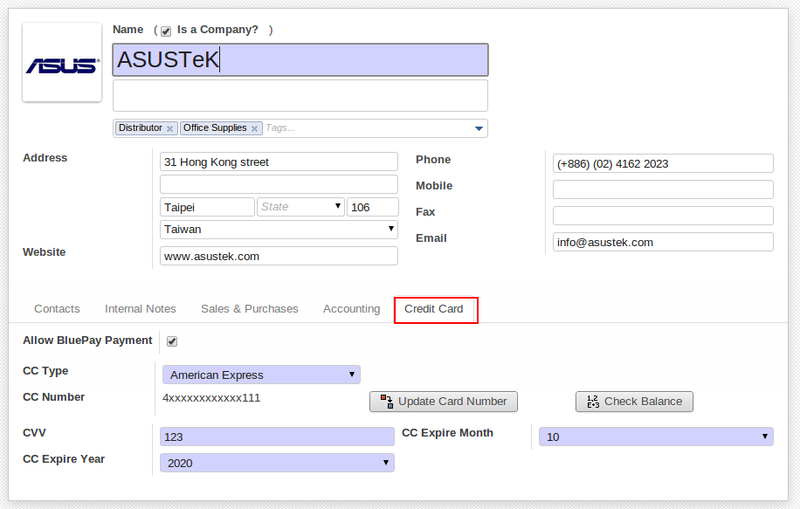 We are using AES algorithm for securing credit card number into database. Sometimes it is require to know that customer has enough balance in his credit card or not. We are giving facility that user will enter amount that he has to check for particular customer and get relevant message. As we are storing credit card number in a secure way in database so it is not allow to change credit card number directly. 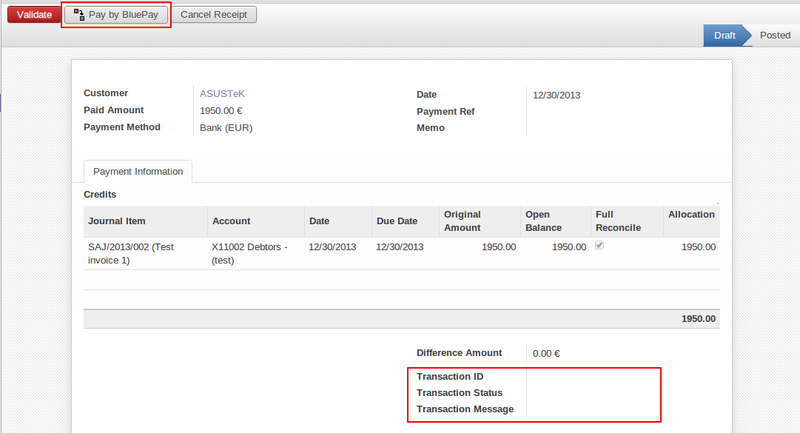 We have improved GUI of voucher for sending payment request to BluePay. It allows to send request only one time if it will succeed. And also stroing transaction related information into voucher for future purpose. It will cancel payment request with BluePay if we are going to cancel voucher. Sometimes it is require that customer wants to pay amount in installment. We are allowing to create recurring payment request with BluePay. We are keeping track of messages for each and every transactions occur during recurring payment. 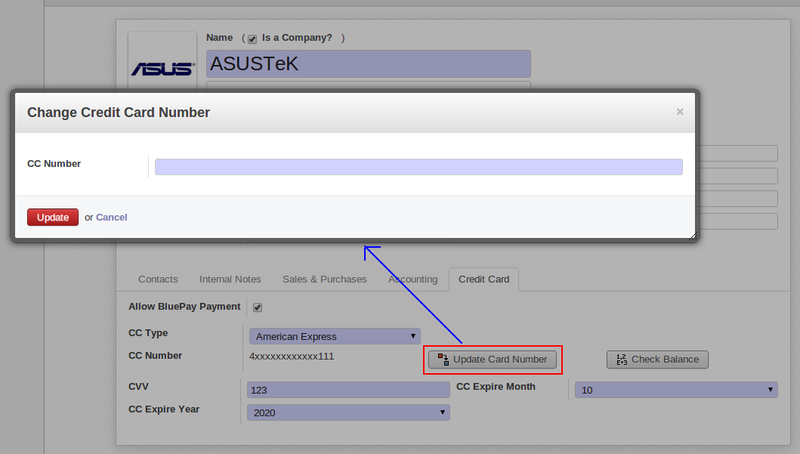 User can change any parameter during recurring payment process execution. And can cancel it also. We are tracking details of each and every transactions with BluePay. 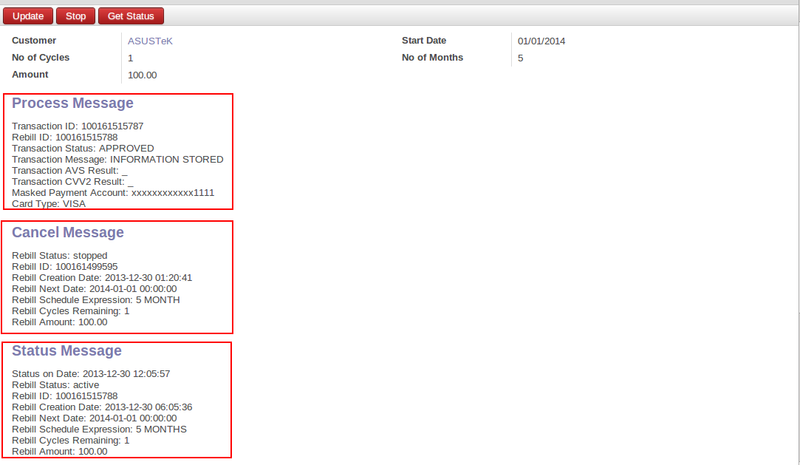 User can print transaction details on PDF report by entering date range and proper parameter selection.